In 1967, after General Charles De Gaulle uttered these words in Montreal, "Vive le Quebec libre," I was shocked by the over-reaction of the federal government. What, I asked at the time, could be construed as offensive when a Second World War hero, especially one with the stature of De Gaulle, wished a free society long life? The truth is that our politicians reacted to it from a paranoid perspective and did everything wrong, thus making a harmless statement into a cause celebre. Consequently, De Gaulle has been made a scapegoat for their incompetence. Many citizens today probably wonder who De Gaulle was. This is not unusual, for the truth of the matter is that many of them also wonder who Winston Churchill was. 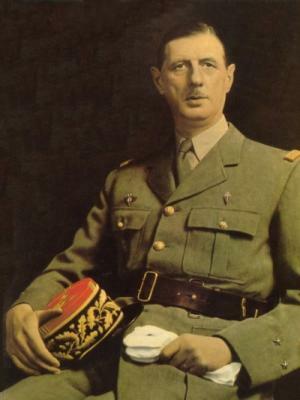 A short bio of the General (1890-1970): De Gaulle, during the Second World War, was intimately involved in the war-making activities which brought about the defeat of the Nazis. He led the Free French resistance which actively advocated, and was very instrumental in, forcefully removing from power the puppet regime installed in Vichy by Hitler. In 1959, despairing of the mess French politics were in, he ran for the presidency of the Republic and won. Under his rule, France's political system was overhauled. He continued in office until 1969. Canada's over-reaction to De Gaulle's words handed Quebec's separatist movement a rallying point. To this day, no one has ever proven that the General had anything cunning or sinister in mind when he wished the freedom of Quebeckers long life. Chances are that he returned to Paris wondering what was bothering the Anglos. To put matters into perspective, let’s examine a similar, fictitious scenario involving English-speaking Canadians: Former United Kingdom war-time Prime Minister Winston Churchill, a staunch defender of freedom during his lifetime, arrives in Halifax and receives a hero's welcome. He utters these words while addressing the thousands who have gathered in and around Halifax's Parade Square to greet him: "Long live a free Nova Scotia." No adverse reaction. The reason why his statement receives no comment is that he was simply expressing a wish that a friendly, free people should always retain their freedom. Is the statue of De Gaulle which was raised in Quebec City, an affront to anyone? I don't see why it should be. In Halifax, we have a statue of Winston Churchill; I presume it is not an affront to the vast majority. As with Churchill, De Gaulle became a war hero because of the brilliant part he played in assisting the Allies in bringing about the successful conclusion of the Second World War. De Gaulle, during that conflict, gave his best to see that freedom from tyranny prevailed for all of us. He deserves much respect for his work. He did have an ego that was mountainous; however, the same can be said for Churchill, Roosevelt, King, etc. Does this lessen our respect for them? The General has been convicted without trial and vilified without end in English-speaking Canada, by politicians and the news media alike, for something he was not responsible for. The blame for the separatist aspirations that many Quebeckers hold lies alone on our doorstep, not his. The rambling words of an elderly gentleman have been shamelessly exploited by both federal and separatist causes for political purposes. Lets get real. The root of Quebec's separatist movement was planted in 1867 when French was not given equal status with English at Confederation. This laid the groundwork for French-speaking Canadians to be isolated into one province and into small French language ghettos across the country. To English-speaking Canada's eternal shame, it did not recognize the injustice of this situation or take measures to correct it, until the winds of separatism were blowing hard in Quebec. Then the panic button was pressed. Possibly to late to repair the damage, it has been belatedly recognized that French-speaking Canadians have an inalienable right to communicate in their own language anywhere in Canada. Adding to the past humiliation of being denied the right to communicate in their own language in their own country, French-speaking Canadians were openly and rampantly discriminated against by the English-speaking majority in other matters. Until recent times, they were even denied the right to work in their own language in Quebec. This kind of treatment does not make for fond memories, nor encourage people to love you. Although, I must say, the expectation for such among the English-speaking leaders of this country has a long tradition. It goes back to colonial days when English governors would, after inflicting a particular brutality upon a First Nation People - who would then respond to the brutality by fighting back - utter these words: "In spite of our kindnesses..."
Its time to let a dead war hero, who is not here to defend his honour, rest in peace. Is beating up on the memory of one of their heros the way to found good relations with a race of people? I think not! De Gaulle did not create our problem; we did. Let’s have the moral courage to take responsibility for it and stop looking for scapegoats. Then, with a great deal of humility and hard work, perhaps we can save our country from the disastrous breakup that, at this point, seems to be its destiny.